No, I haven’t been to Moldova lately. In fact, I’ve never been to Moldova. But my daughter went, in May. She knew exactly what sort of pictures I’d like to see. Our Moldovan pal Cristina helped me interpret the photos. 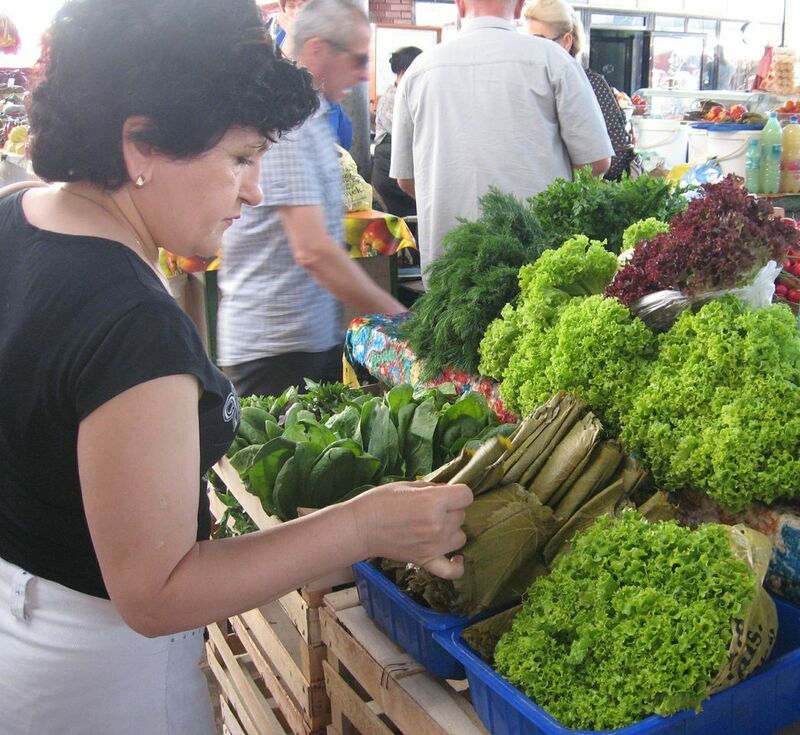 Beside the lettuce in a Moldovan market are grape leaves ready for stuffing. They are simply laid flat, sprinkled with salt, and then rolled together for sale. 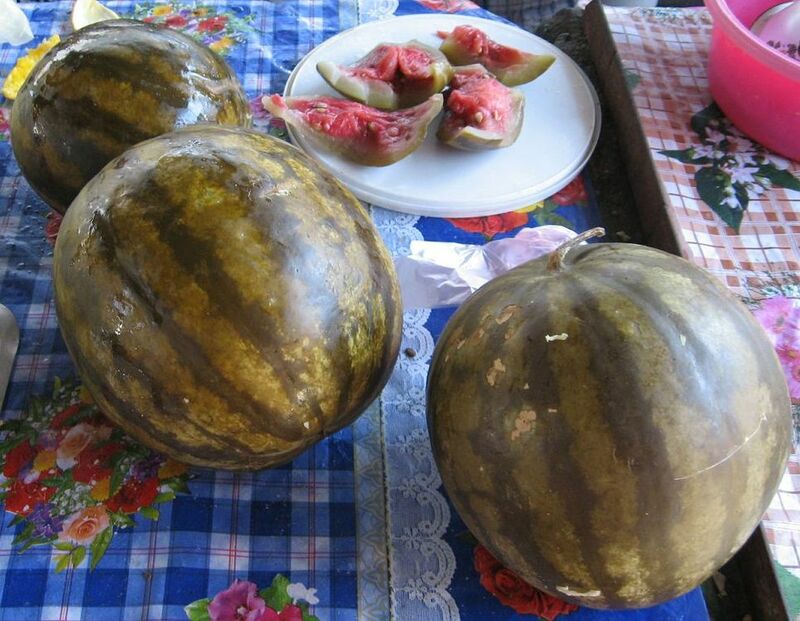 Here are whole brine-pickled watermelons, and slices of pickled watermelon. Apparently I’ve neglected to report on my own adventures in pickling whole watermelon, so I’ll do that soon. The watermelon flesh loses its crispness and becomes . . . I don’t want to say slimy. A nicer term might be tomato-like. 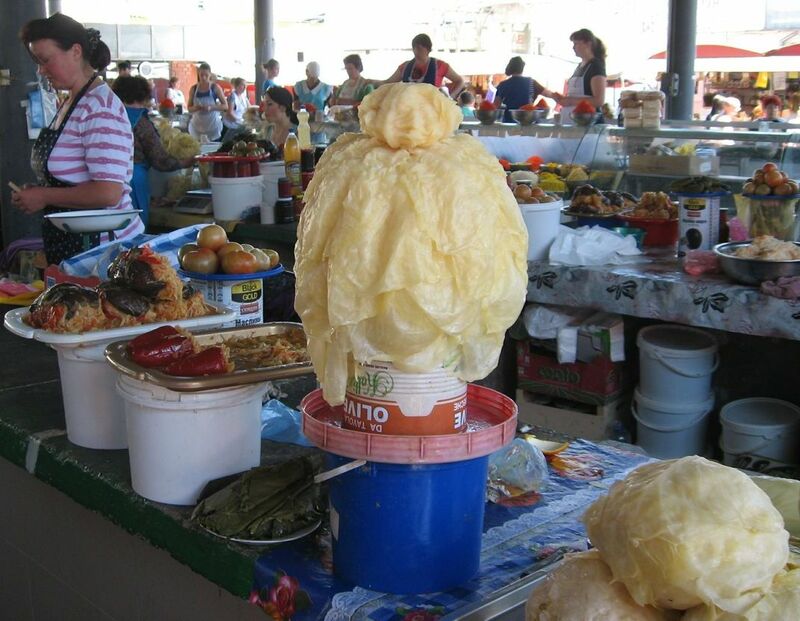 Cabbage is pickled whole, too. Here the leaves are separated and laid in a mound, ready for making sarmale—or, “in the folk,” Cristina says, galush. 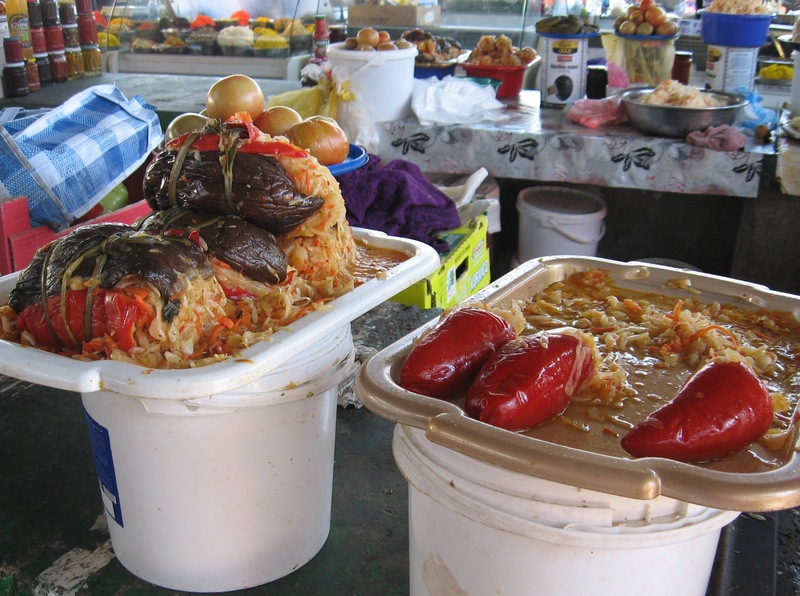 These long-simmered rolls filled with rice and ground meat are the Moldovan version of the Turkish sarma. 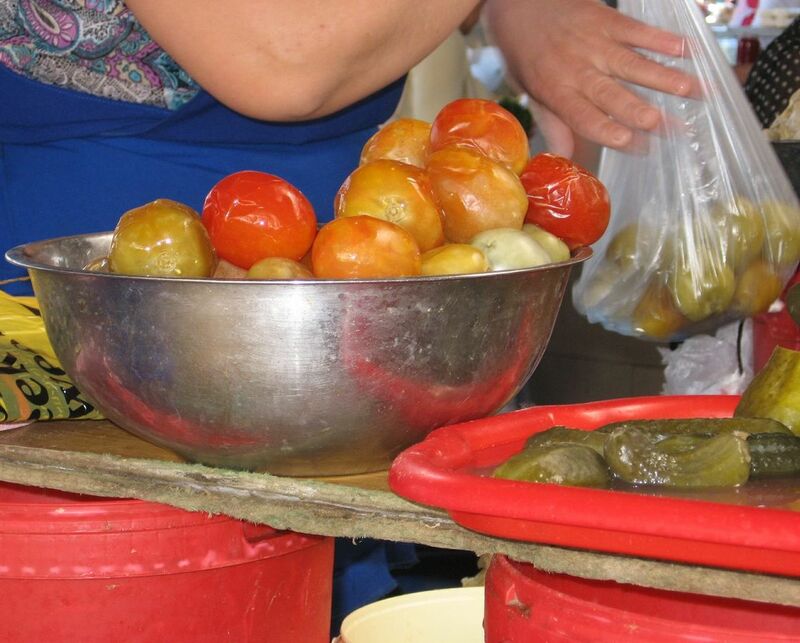 Brine-pickled tomatoes, like other pickles, are sold drained. You take home as many as you’d like in a plastic bag. On the right side of this picture are brined stuffed peppers. Though I included a Turkish version of this pickle in The Joy of Pickling, I haven’t made brined stuffed peppers in ages. Now I’m inspired to make some this fall. Most amazing here are the enormous brined stuffed eggplants, at left. I don’t think I’ve ever fermented stuffed eggplants, and I can’t conceive of using—or eating!—such huge ones. 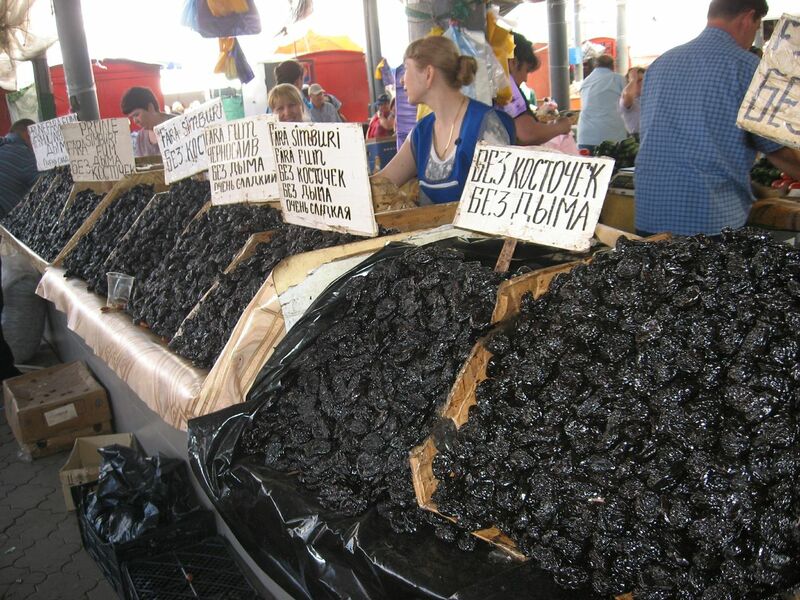 Some plums are sun-dried; others are smoke-dried. The smoke imparts a distinct flavor that I can only imagine. 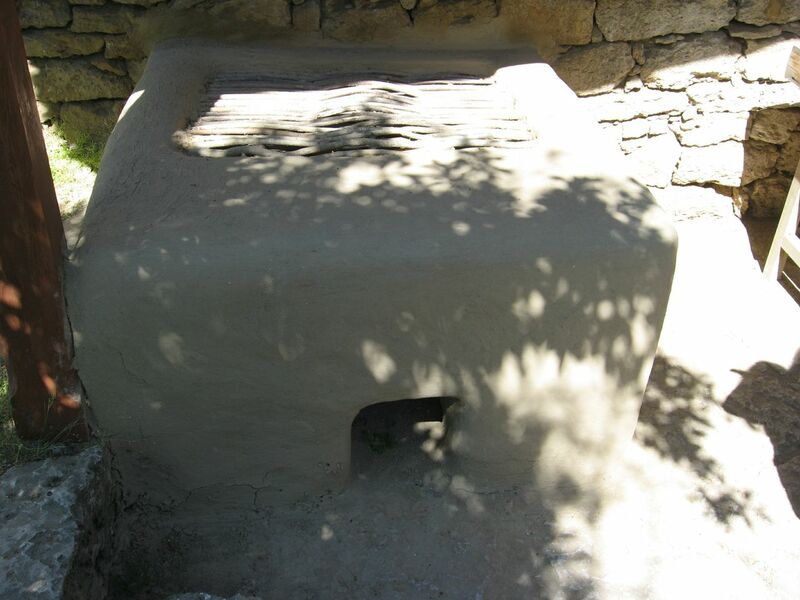 In the right photo above is an oven for smoke-drying plums. 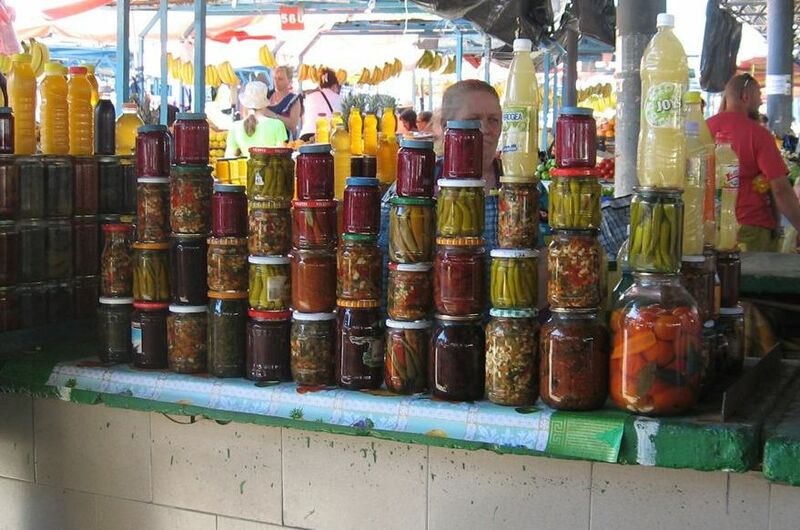 In the picture above, a woman is selling an assortment of homemade pickles and relishes. You don’t see the jar labels because there aren’t any. The jars are in various sizes and shapes because they formerly contained various factory-made foods. But don’t her pickles look good? 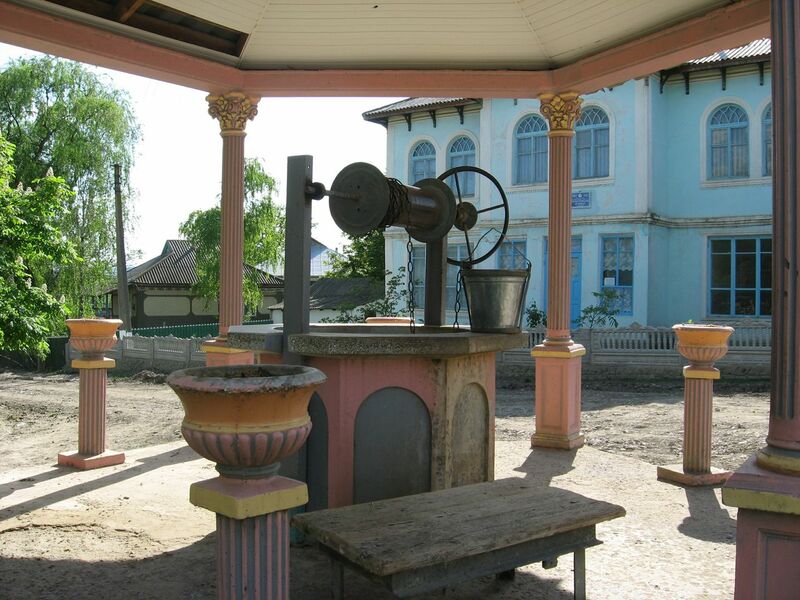 Here is a Moldovan well and, purposely placed right beside it, a shrine. 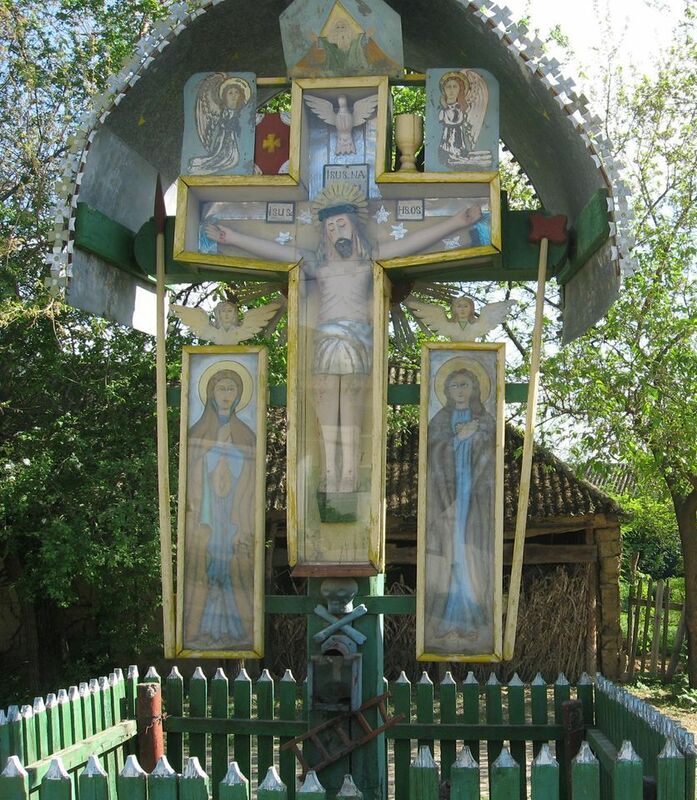 In Moldova, wells are still sacred places, as they should be everywhere. Finally, on the Orthodox Easter table is a bottle of cognac. 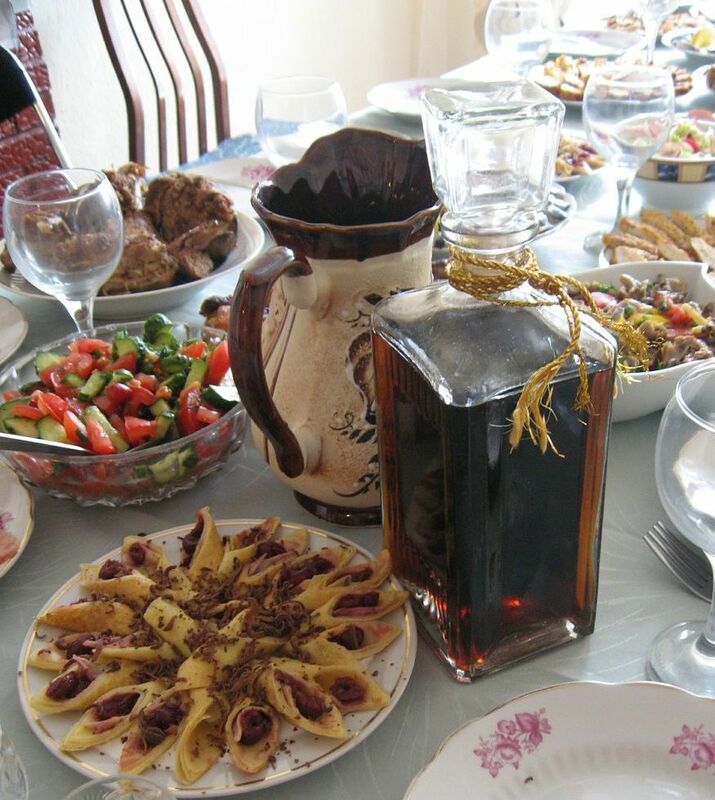 In Moldova cognac is not fancy French brandy but green-walnut liqueur, like the Italian nocino. Have you picked your own green walnuts this year? If you can still pierce the walnuts to the center with a needle, it’s not too late to make green-walnut liqueur. This entry was posted in Fermented foods, Fruits, Nuts, Pickles, Travel, Vegetables and tagged borsch acru, cabbage rolls, grape leaves, green walnuts, Moldova, Moldovan cognac, pickled whole cabbage, pickled whole watermelon, sarmale, smoke-dried plums. Bookmark the permalink. These are wonderful.. Although I’ve never heard of Moldova, I do believe I’d love to go there now.. Thanks for sharing a part of the world I’ve not known existed.. I want to hear more about pickling watermelon!